Today: A no-bake taste of childhood. 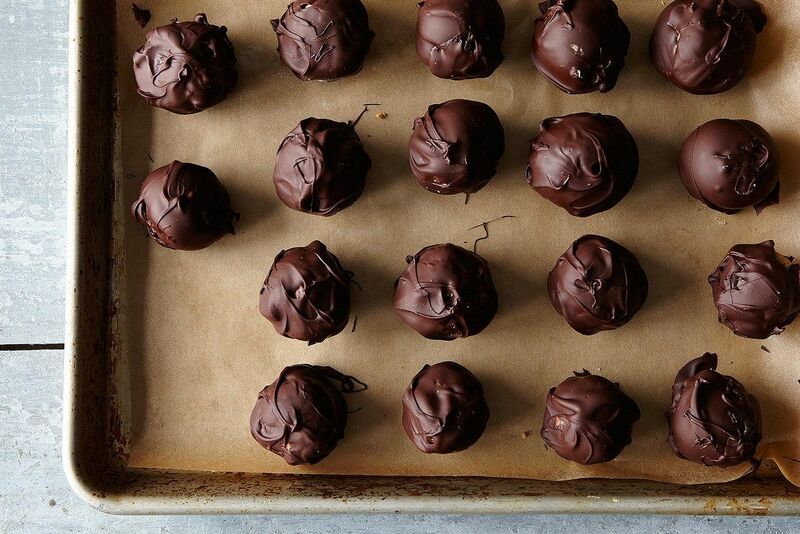 Before my sister and I were old enough to use the oven without adult supervision, no-bake bon bons were our kitchen adventure go-to. Our pantry, while otherwise very well stocked, exhibited a serious dearth of dessert options (every kind of cheese cracker known to man, 11 varieties of breakfast cereal, and not a cookie in sight), but the 5 ingredients required of these sugary nuggets were always at the ready. More: Read up on Alice Medrich's no-bake desserts. 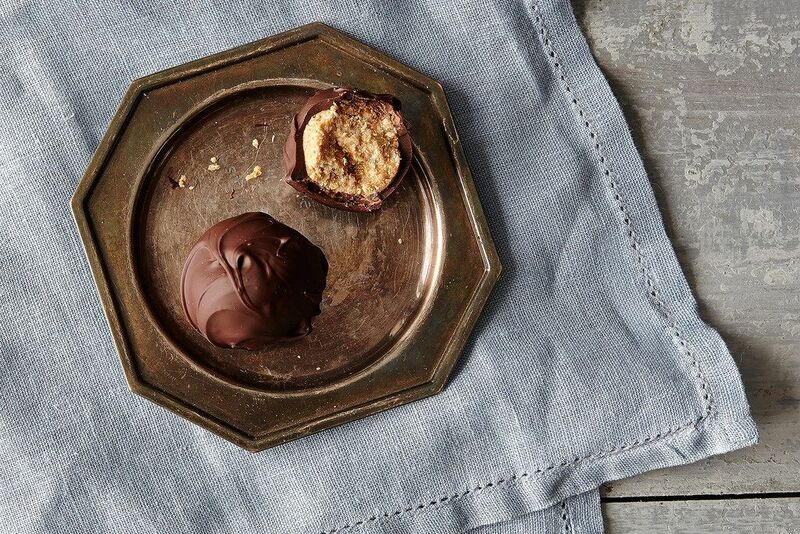 Back then we used the slightly more kid-friendly combo of semisweet chocolate and creamy peanut butter, which more than stands the test of time, but a tiny flavor update made on a whim a few weeks ago totally shot these into (fake) (pretend) (can somebody please explain how taxes work) adulthood. My post-grad kitchen is rarely lacking in a pint of Ben & Jerry’s or a bag of Tate’s, and I am now also 100% allowed to operate my oven solo, but it is an extra relief to know that these bad boys are never too far away, should I desire a cracker-smashing taste of youth. P.S. These are very easily gluten-free-able using gluten-free graham crackers! Err'body can get down. Wonder if I could use sunflower butter for nut allergy families.